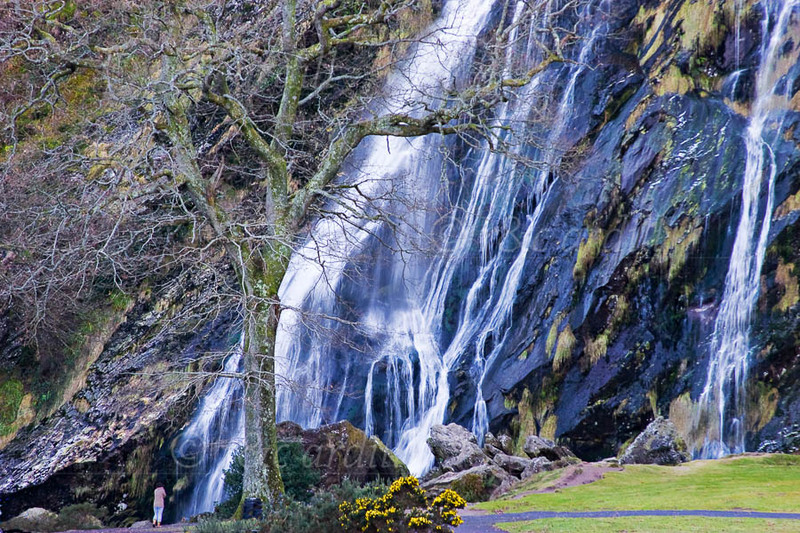 Photo of: East Coast of Ireland: Wicklow: Powerscourt Waterfall. Powerscourt Waterfall is Ireland's highest at 121m. It is surrounded by woods and specimen trees. Visitors have been coming to Powerscourt Waterfall for over 200 years, attracted by the beautiful cascade flowing down into the Dargle river.